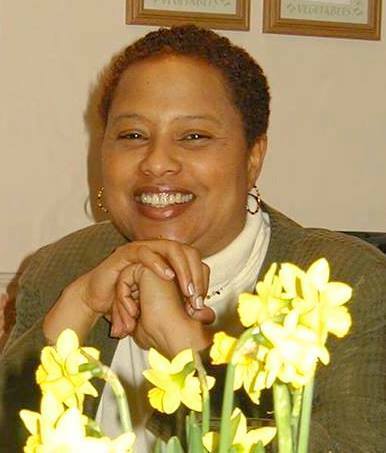 Following an unconventional path to eminence, Eleanor Alberga has become the most outstanding of that group of composers, born in Jamaica, who now reside outside their native island. A formidable presence in the areas of composition, piano performance and the world of classical music at large, Alberga is, and has been for decades, a force to be reckoned with. As a female composer Alberga’s mark on the world is highly significant. Notable among her recent accomplishments is a female-themed BBC commission performed by the BBC Symphony Orchestra under Marin Alsop “Arise, Athena!” which headlined the “Last Night of the Proms” on the 12th of September 2015, the final concert of the BBC Proms, Europe’s largest music festival. The “Last Night of the Proms” is an event seen and heard by millions of viewers around the world! Born in Kingston, Jamaica in the year 1949, Alberga began her extensive and thoroughly accomplished musical career with piano lessons at 5 years old! She moved on to study at the Jamaica School of Music during her preteen years, after it opportunely opened in close proximity to her childhood home. While a student at a convent school in Jamaica, Alberga was also a member of the famed Jamaican Folk Singers. Thereafter, her distinctive talent drew the attention of the Royal Academy of Music, and she was granted the biennial West Indian Associated Board Scholarship to pursue further piano studies as well as singing at the Royal Academy in London. Arriving in England as a student in 1970, Alberga remained there permanently. Having completed her studies at the Royal Academy of Music, Alberga began working as a concert pianist. Ending her stretch of concert piano performance, Alberga went on to a variety of musical endeavours, including working as the musical director and pianist of the London Contemporary Dance Theatre, and a three-year membership with Fonton From, an African dance company. Many of these endeavours ran parallel with the work in the field of drama. In this regard, Alberga is often distinguished for her use of dramatic over and undertones, encapsulating the effervescence and electricity of the dramatic arts. As it relates to her work as a composer, Alberga has written countless pieces including The Wild Blue Yonder (1995), Mythologies (premiered in June 2000 with Leonard Slatkin as conductor), Tiger Dream in Forest Green (2004) and Succubus Moon (2007). Her very first opera entitled Letters of a Love Betrayed premiered in October 2009 to a bevy of positive reviews. Alberga also performs with her husband, celebrated violin virtuoso Thomas Bowes, as the duo ‘Double Exposure’.